A fantastic range of 10 tubers all of which are named varieties. 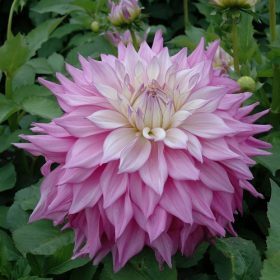 3 Gallery Series dahlias – Art Deco, Art Nouveau and Monet. 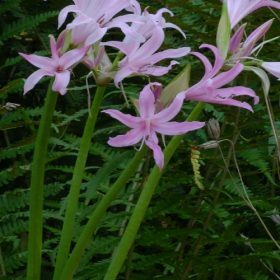 A newer variety of Amarine, Aphrodite has beautiful pale pink flowers. A fantastic cut flower collection which comprises 90 bulbs. 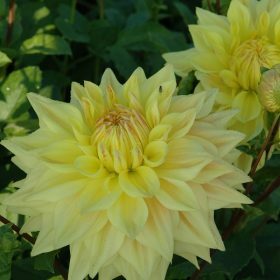 Advance is a fantastic dinner plate dahlia in salmon pink fading to creamy yellow towards the edges. 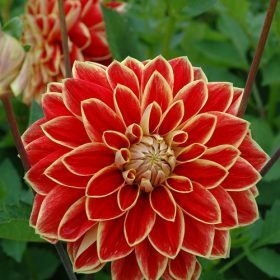 Arabian Night is a very popular deep crimson red decorative dahlia. 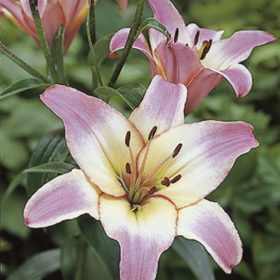 Arabian Night will provide a long period of colour in your garden throughout the summer. 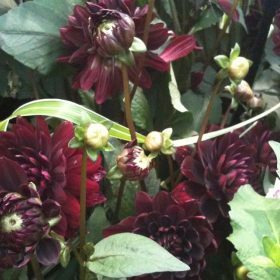 Black Cat like all dahlias will flower all summer long. 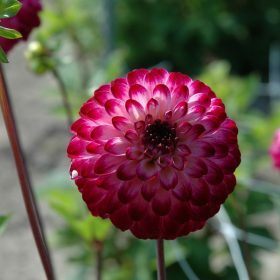 The flowers are dark maroon/red and will look very magnificent through out the summer. 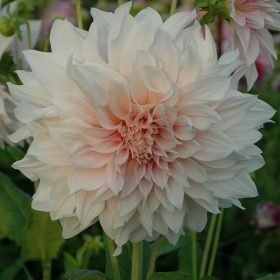 Decorative dinner plate dahlia Cafe au Lait will make a fantastic display in containers or in borders. Edinburgh will produce a mass of flowers over the season. Each flower of Edinburgh is a wonderful bi-colour, claret tipped with white. 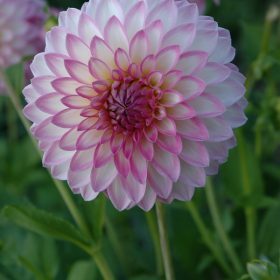 Hawaii is a stunning dahlia with swirls of white, yellow and pink. 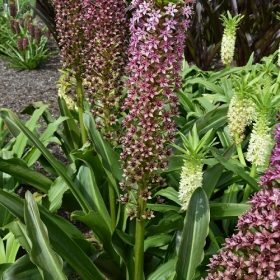 Hawaii will produce flowers that are up-to 6″ across. 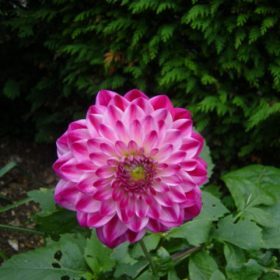 The flowers of Hawaii will dahlia which is also a dinner plate so produces massive flower heads. 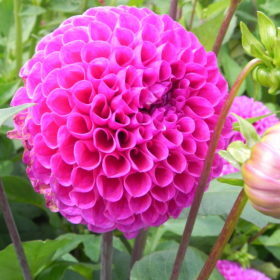 Holland Festival is a decorative dinner plate dahlia and does make a fantastic display in containers or in borders. The flowers of Karma Choc are a dark chocolate at the base turning to burgundy at the tips. Karma Choc will flower all season long and provide a host of flowers throughout the summer. 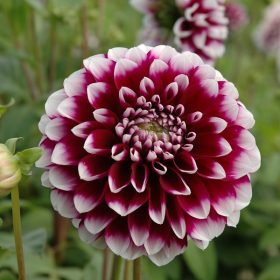 Pompon dahlia Little Robert will produce flowers all summer long which are a striking reddish purple on a white background. 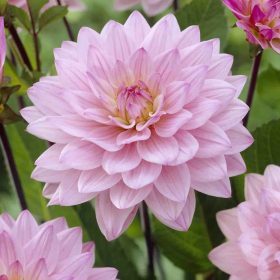 The flowers of Sir Alf Ramsey are a fantastic Lavender pink which graduate to a pale creamy white at the base. 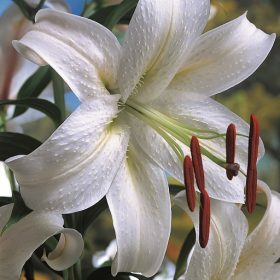 Casablanca is one of the best oriental lilies that has stood the test of time. 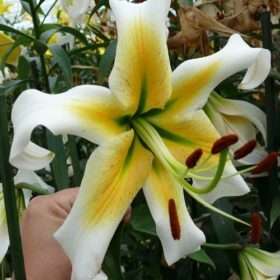 It will produce very large pure white blooms, with brownish-orange anthers. 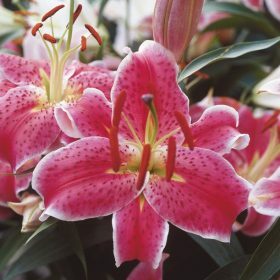 A fantastic cut flower collection which comprises of 15 lilies to make a glorious display. A wonderful orienpet with semi pendant flowers in white highlighted with a golden yellow centre. 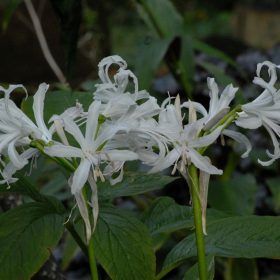 Nerines produce an abundance of colour in the late autumn. Bowdenii alba is a very majestic and excellent for cut flower, producing pure white elegant flowers.